Find out what’s going on weekly in high school sports with ThePrepZone.com Sports Report Presented by SunState Federal Credit Union. 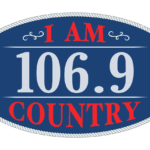 The 1-minute high school sports vignette is produced by Mike Ridaught and airs ‘live’ every weekday morning between 7:50-7:55 a.m. on “I am Country 106.9 FM” in Gainesville. Today’s report and links to previous reports are listed below. They are archived for 30 days. If you live in the Tri-County area (Gilchrist, Levy & Dixie County), tune in to ThePrepZone.com Nature Coast Sports Report presented by SunState Federal Credit Union on Country Legends Radio. The 2-minute high school sports vignette is produced by Ridaught and airs every Monday, Wednesday and Friday at 7:28 a.m. and repeating at 5:28 p.m. on 93.1 FM & 940 AM in Chiefland/Trenton & 96.3 FM & 1240 AM in Cross City. Click here to listen online.